When you ask someone about their liver, most will say, yes, it’s in there. Well, what does it do? A lot! To be more specific, it plays a huge role in detoxifying the body. It has over 500 functions and 11 detoxification pathways (5 in Phase 1 and 6 in Phase 2) to get the junk out and aid in immunity and digestion. The liver is located to the right of the stomach, behind the ribcage, and below the diaphragm. I call this the “everything organ”. Helping with digestion, absorption, food processing, bile secretion, and blood filtering, you can see its importance in the gastrointestinal tract. What Is My Liver Doing? The liver facilitates detoxification, serving as a neutralizer and filter to break down toxins into smaller components so other eliminative organs such as the colon, respiratory and kidneys can eliminate it out. In addition to detoxification, its other responsibilities include hormone production, remove any red blood cells that become damaged (along with the spleen), glycogen, energy and vitamin storage , lipid metabolism (cholesterol, triglycerides. ), and immune defender just to name a few. What Is My Liver Saying? Emotionally, the liver is the organ of anger and action. Action meaning it can help you response or reaction. A healthy, balanced liver can help you manage and maintain your emotions in a harmonious, even and fluent manner. When it is deficient, cold or lethargic, you may experience depression, sadness and loneliness. 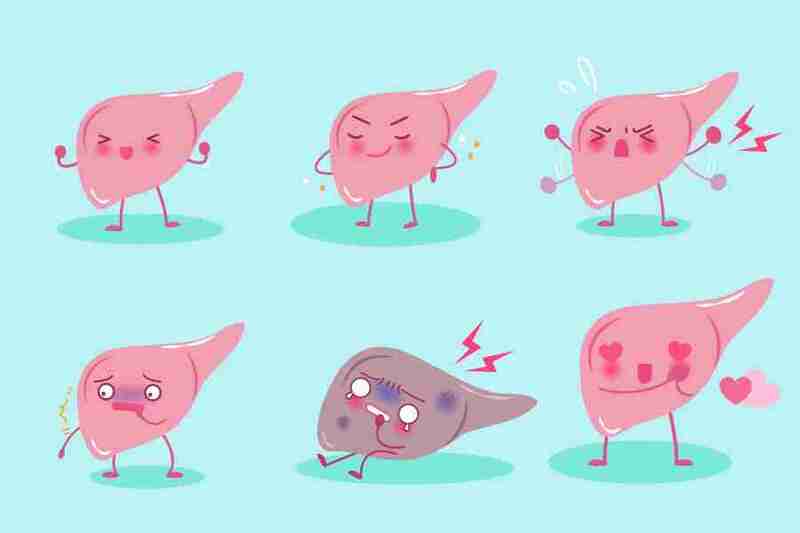 This is because the liver has taken a beating and is so suppressed, or malnourished that it does not have the tools to keep up with the demands. When it is in an excessive, exploding or hot state, you have anger, frustration, aggravation, and short-tempers. You react impulsively rather than response wisely. this indicates it is being bombarded now and overwhelmed by the incoming stimuli. If your sleep is disrupted and you wake up between 1:00am and 3:00am, this is the “liver time” of the circadian rhythm maintenance clock. This indicates your liver is not happy and needs some special attention to help it get balanced. How Is My Liver Feeling? Do you feel energized or lethargic? Do you feel strong or weak – physically, mentally and/or emotionally? Do you feel balanced or have some nausea? Are you even-kilned or angered and frustrated? Are you depressed, sad or lonely? Are you having normal bowel movements every day, or are you constipated or have diarrhea? Are you experiencing any pain on your right abdominal area? Do you wake up between 1:00am and 3:00am? A hot or angered liver will need cooling remedies such as essential oils of grapefruit, lavender, lemon and peppermint. These all are cholagogues, meaning they promote the liver to detoxify by aiding in elimination of bile from gall bladder and bile ducts. A cool or lethargic liver will need heating remedies to create movement of stuck pathways. These essential oils include oregano, rosemary and thyme. Herbaceous & Camphoraceous: Black pepper (Piper nigrum), Peppermint (Mentha x piperita), Rosemary (Rosmarinus officinalis), Sage (Salvia officinalis). Add the carriers to a jar and mix well. Follow by adding in the essential oils and stir into mixture, until all blended. Write down your recipe (make correction if an extra drop of something goes in) and label. Use at least twice daily and as needed to show your liver some love.